The imminent arrival of PACIFIC RIM in British cinemas (and The Asylum's shameless - but watchable - mockbuster knock-off ATLANTIC RIM has been out for a couple of weeks) got me thinking about another giant mechanicals versus monsters format: SHOGUN WARRIORS, as published by Marvel in 1978-79. 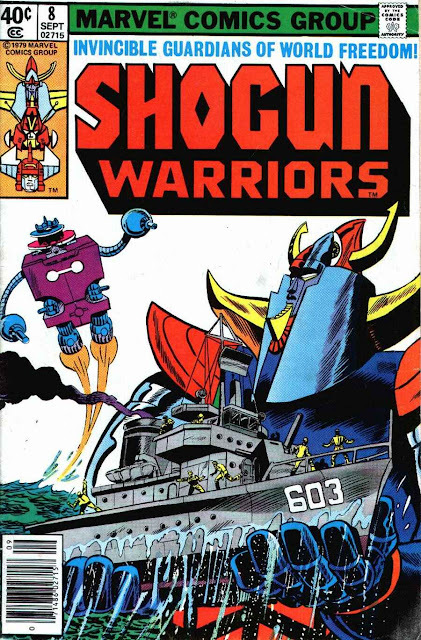 The book was an early example of a Marvel Japanese toy tie-in and paved the way for the vastly superior THE TRANSFORMERS some five or so years later. 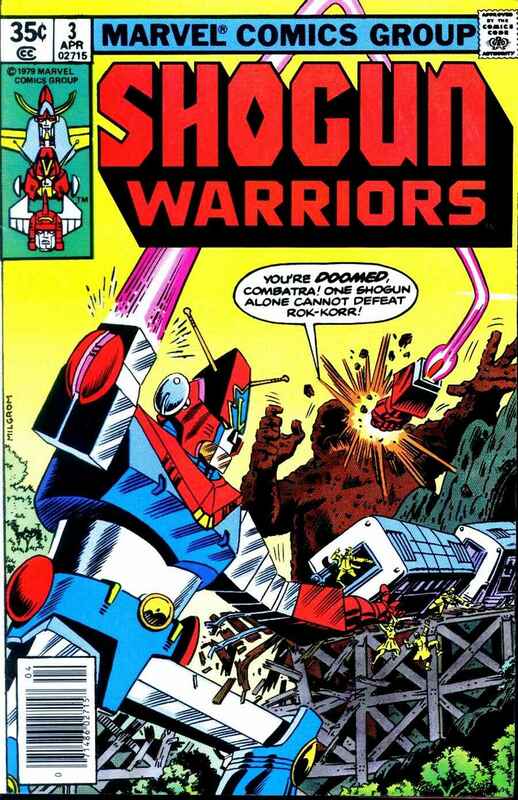 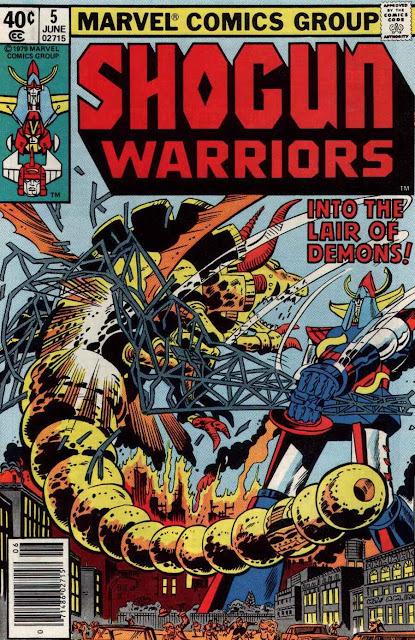 The Warriors, now often found in bargain back issue boxes, was firmly pitched at the younger end of the market and, like GODZILLA, was obviously seen by Marvel as a potential entry-level book into the wider Marvel Universe. 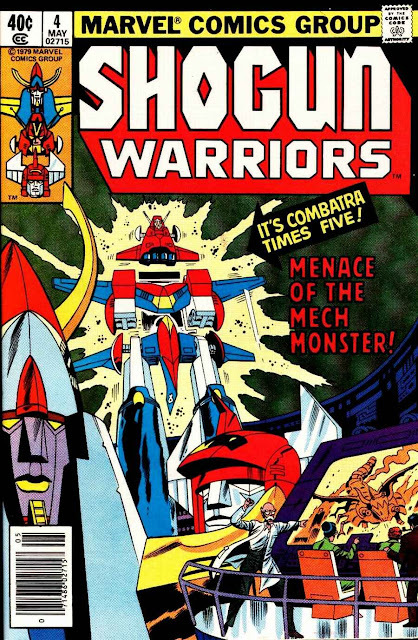 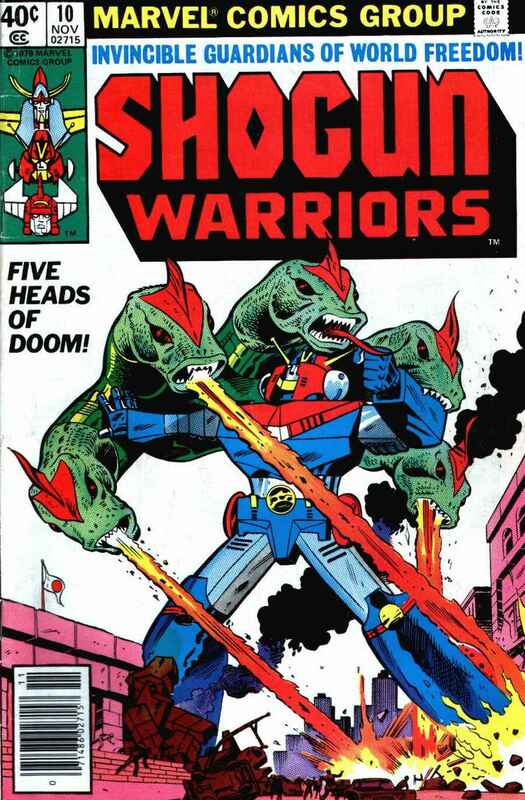 The early issues of THE TRANSFORMERS, like its seventies predecessors, also featured appearances by mainstream Marvel characters. 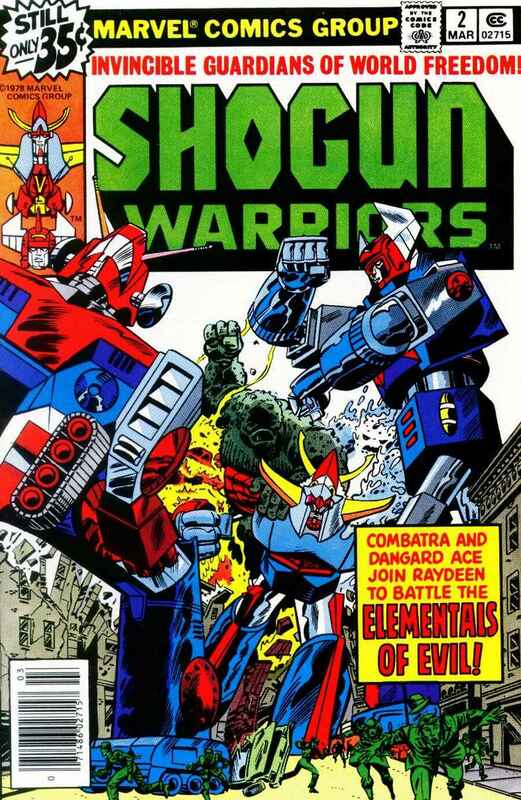 These strips never formed part of the Marvel UK line-up. It's possible they got lost in the shuffle around Dez Skinn's arrival and the beginnings of the Marvel revolution but, as the warriors seemed a good fit for either STAR WARS WEEKLY or MARVEL COMIC, its more likely that Marvel's licensing deal prevented international reprints. The title ran for twenty issues before succumbing to poor sales. I'll post the 1979 cover-dated editions soon.